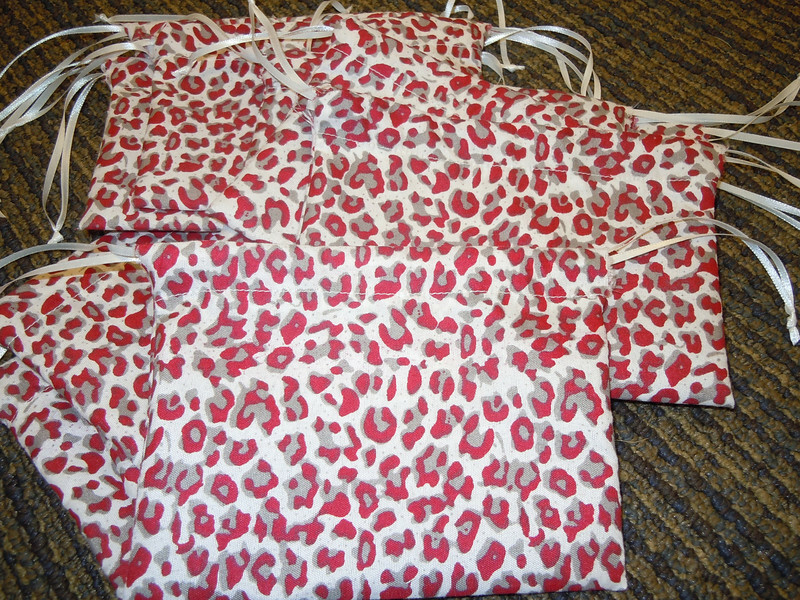 4 1/2" x 5 3/4" Red, gray, and white Cheetah Print with white double string satin ribbon closures. 12 bags in this set. $5. One set available.